May 8, 2017, 8:02 AM · When students are younger, the quest for beauty and joy is more apparent in their practice and lessons. 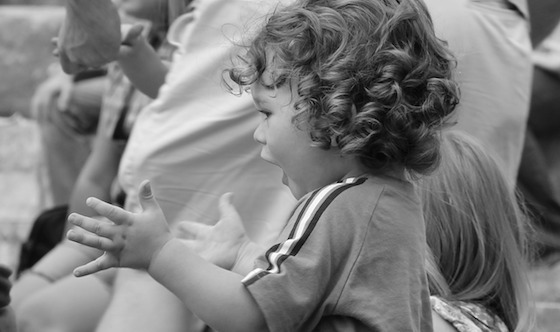 You can see it in a child’s body language and in their eyes as they discover new moments in their music. They frequently aren’t self-conscious about feeling things through music and showing it – sometimes they find silly moments but they will also find deep ones. Better yet, young children often willingly engage in story telling, character refinement, and happily sing melodies with you. With the right parental participation and encouragement, the sky is the limit for practice joy. Lucky for them, the violin has plenty to offer. Sometimes I wish I could bottle up this innocence and passion for learning so they could use it later on a “rainy practice day”. As the students progress they encounter more difficulties with technical growth, harder literature, auditions, competitions, performances, and sometimes pressure to achieve. Some of them still retain those rose colored glasses amidst the pressure ….How do they do this? And how does this effect the outcome of their training and hard work? What can we do as teachers and studio parents to retain joy in practice and training? Below are some ideas I have about how to keep children joyful and happily engaged in their music education. With my younger students, I ask parents to attempt to tie in concepts from school to practice room. Can you find patterns in your classical composition? Count how many times the theme happens. How do they differ? How can you use your knowledge of fractions to help with subdivision and make your rhythm more precise? How does this affect the character of the piece to have the rhythm more distinct? Is the student also a budding writer or artist? Tie in artwork or a narrative to music making. What colors do they see while playing? Ask them to imagine water, land, beach, or mountains. Is it rainy and wet or is there sunlight shining? Ignite their tactile intelligence and ask them to imagine how their feet feel in sand or warm water or gravel….how does the bow hair feel against the string? How is their main character dressed? 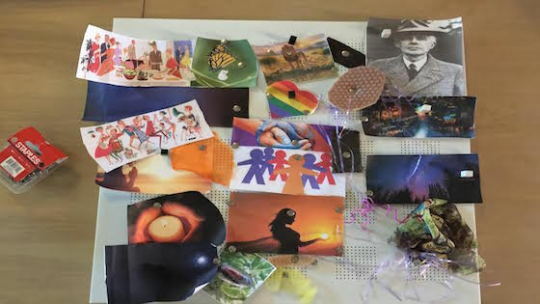 Ask them how these connections could change their choices in tone, texture of sound, vibrato, bow speed….Make a mood board and let them put it all together to see their composition in a way that inspires them to create specific, intentional sound. Pull in history and do some research. Who is the composer and what do we know about the period they lived in? Have them look up what was happening in the world the month or year the piece was written. Ask them what might have inspired this piece to happen? Monkeys were sent into space the year Kabalevsy wrote his violin concerto! Can you hear the monkeys? Tickle their imaginations and build a feeling, a story, and fully formed characters around your piece. If you make these connections with your young musician, you are strengthening existing skills, building their confidence, and reinforcing a fabric of information that aids in memorization and the clarity of their interpretation. They become beauty ambassadors for their music. Create a practice environment that lights up a child’s mind… Have them help you decorate a space they love with great lighting, a stand that can hold everything they need, and bring in a metronome and tuning device. Organize their music by category and build a notebook that facilitates finding each component of their practice. This will be a creative space where lot of hours of work happen and the more they contribute to how it looks and functions, the better. Is your kid one who would respond to the art section above? Collect paint swatches for colors, fabric swatches for texture and tone, and find stock pictures of different landscapes and places. Have paper and art supplies nearby and encourage them to draw their main character in detail. Some kids will take to this immediately and others will be less inclined but the space they work in can influence them for sure. Then explore together what techniques can bring these visuals to aural fruition. Bring technology into the practice space and engage in some research. Utilize the amazing tool most of the teachers I know never had: YOUTUBE. Find 5 recordings from reliable performers of the same piece and ask them to make a list of similarities and differences. Create a word doc chart for charting differences in recordings and keep a few charts out and ready for use. What are their favorite moments in each performance and why? How do the tempi differ and how does this compare to their own tempo. How are the musicians communicating with one another in the performances and how does this add enjoyment to the listener’s experience? NOTE: For the art integration and research, it is my opinion that you should absolutely count this as practice time and label it as research and artistic development! Not only will their practice soar but also their performances will reflect this addition to their work. Try and make this a reflex reaction to frustration in technical work with the knowledge that when your student comes back to it, they will be more relaxed, armed with artistic ideas. Perfection is overrated when a child is developing as a young violinist. There will be big leaps, plateaus, and as you acquire new techniques, sometimes-unavoidable setbacks. A fluid parent, student, and teacher are a must. If perfection is something you strive for in other areas, intermediate violin will be a rough pill to swallow let alone advanced or virtuosic violin training. You can’t cram for a test and the body doesn’t respond well to stress or pressure from any source when you are coordinating hands and building balance for a supple technique. Be mindful of a student’s steady efforts and how thoughtful and engaged their practice is. Make this your priority along with an ongoing stream of inspiration. Keep in mind that some techniques or fundamentals will take longer than you expect while others will be a breeze. In my own training, it took me two minutes to achieve a solid up-bow staccato but it took me nine months to achieve a spiraled vibrato. These aspects of our playing cannot be rushed and it isn’t like a multiplication table or something you can drill like flash cards. The body has to relax and find its way alongside a lot of hard work. Frustration or practice battles with parents will only make it move slower in my experience. In a similar way, some pieces will take multiple tries on stage to get near perfect and this is not a reflection of work or dedication. This becomes more and more true with each new level of playing. Often parents are not aware of this and find themselves frustrated and discouraged. Children then pick up on this and carry it into their work. These days kids are more scheduled and in a family with multiple children, it might feel like they are making less and less decisions on their own. It is for this reason that I feel allowing a younger student to make certain choices in practice can be very effective. Dorothy DeLay was known to say that her priority was a happy and joy filled child in a lesson. This is what she was shooting for in every lesson beyond the teaching of violin and classical music. When children are in this state, they are more fluid, willing, and learn with greater ease. She was extraordinarily conscious of her choice of words in lessons and always managed to bring comments into a positive framework to allow the child that safe space emotionally to learn and grow. In my teaching, once a child is feeling fluid and happy, I will follow their lead for a while and we inevitably discover something together. If there are certain components that are determined to be necessary in your child’s work, consider allowing them to choose some of the order. Give them ample space to make a suggestion or problem solve and be willing to apply their idea fully followed by a fun Q and A about what worked and what didn’t. Be flexible enough to miss something on some days if it promotes a happier learning space during the week. Treat your pieces, etudes, or scales like basic nutrition and do your best but take stock in the week’s work more than every day. By the end of the month, you will have made beautiful strides in all areas and have a happy kid walking into the practice room. Strive to make the beginning and the end of every practice session positive, light, and affirming. Ask them what their favorite part of today’s practice and use that to brainstorm about the next day’s work. Leaving the practice room with a smile on their face all but guarantees they will want to walk back in later. I have been known to stop practice sessions slightly early if I feel this happy state is achieved because I know it leads to more happy practice later. As a teacher, I see increasing amounts of children arriving to lessons exhausted and yawning in lessons. I will ask how they are doing and if they are tired and try and coax a smile out of them. The parents lightly brush it off and we try and make the best of it. Through casual conversation, I learn of their schedules and it becomes clearer to me why they sometimes seem uninspired, have trouble working effectively, and why parents grow frustrated with a decline in interest. It is not a new phenomenon for kids to be overscheduled with activities but as a teacher of 22 years now; it seems to be getting more common. I am a Mom myself and at times it is challenging for us too. Especially with creative kids, they want to do it all and many artistic talents will yield well to another art form and that is exciting for everyone. But physically they are still very small and they can only do so much by the end of any week. There needs to be room and breathing space for a child to lead in the lessons and in practice. If we have to prepare too many pieces, always on a time crunch and racing the clock, we aren’t creating an atmosphere that will inspire them to come forward and participate. It becomes more centered on checking off boxes in some daily list of activities and that can turn learning music into a chore. Most parents agree that they would love for their children to continue to play music for a lifetime but if music making becomes a chore, how likely is this? If instead we allow the time and space for music to be a form of expression and an artistic outlet, our chances for a lifetime of music increase. Parents, students, and teachers need to be watchful of schedules and learn to say no to certain opportunities in favor of balance and rest.